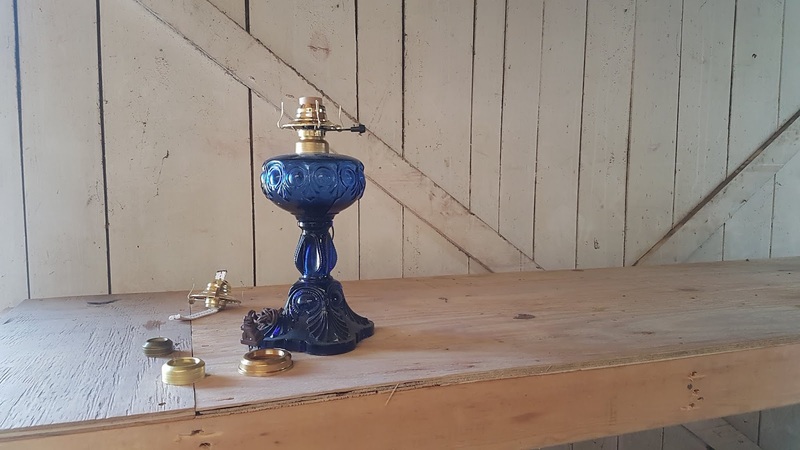 If you like the looks of an Oil or Kerosene lamp, but not the mess with a burner and fuel, electrifying the lamp is easier that you might think. With specialty lamp adapters, a lamp can be changed over to an electric burner in minutes. In 5 simple steps the lamp can be converted. Step 1: Identify the type of lamp you have. 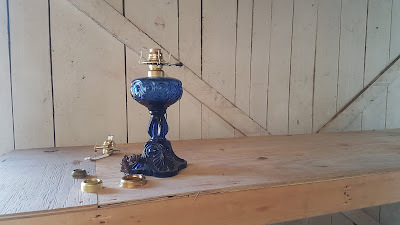 There are many types of oil lamps out there: #2 burners, duplex, Aladdin, Central Draft. 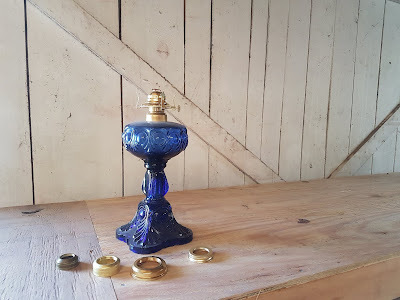 After you have identified your oil lamp burner, you are able to pick an adapter to fit. Step 2: Decide on type of shade or no shade. These electric adapters can be simple and hold a chimney, or they have other options with shade rings and harps for fabric shade. Before you convert to electric, you need to decide what the final product will look like and get the right adapter for that style. An antique kerosene lamp might have months, years, or decades of kerosene on the lamp. This is a good time to clean the lamp. Wash it out with some clean water and let it completely dry. Installing the new adapter is as easy as replacing a light bulb. It literally screws in the lamp collar. If you followed step 1, this step is a breeze. Add the shade or chimney to the lamp. Screw in a bulb and enjoy the 21st century. Looking for a more visual approach? Try this video.